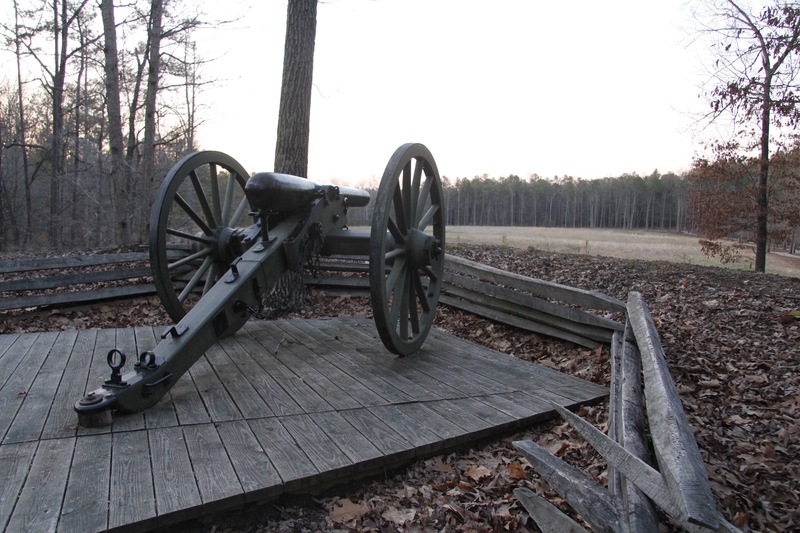 The Breakthrough Trail, one of the best battlefield walks available on any Civil War site, offers visitors a variety of options for personally exploring the hallowed ground where the decisive April 2, 1865 Breakthrough occurred. Three loops of varying lengths take visitors across the avenues of attack and by some of America’s best-preserved original Civil War fortifications. The Main Loop covers about 1.25 miles and takes approximately 45 minutes of leisurely walking. This trail takes visitors to the Confederate picket line, through the valley of Arthur’s Swamp and by a rare military dam, and approaches the fortifications just as the Vermont Brigade did on April 2. The beginning of the Headwaters Trail is off of the Main Loop. The Intermediate Loop is .7 miles long and takes about 30 minutes of leisurely walking. This route follows the Confederate works to an impressive original artillery redan and affords an impressive view of the battlefield. The Hart Farm Loop is .5 miles long and takes an additional 25 minutes to walk. This trail leads to the restored Hart House and exhibits discussing not only the Breakthrough, but also the fighting that occurred on the Hart Farm in October 1864. The Headwaters Trail begins on the Main Loop of the Breakthrough Trail. This one-mile hike follows old logging roads and introduces a variety of themes pertaining to the human and natural history of the area. The Jones Farm Loop Trail, an extension of the Headwaters Trail, is .8 miles long, includes four interpretive stops, and requires an additional 20 minutes of walking time. Visitors may access Civil War Trust property with fortifications from the March 25, 1865 Battle of Jones Farm on this trail. Each loop of the Breakthrough Trail features a series of wayside exhibits, many with audio messages that provide a complete tour of the battlefield. Use your personal mp3 player to learn more about the Breakthrough.